A home inspection is an integral part of buying or selling a home. Your home inspector should provide you with a greater understanding of the property conditions as observed at the time of the inspection. The inspection report is instrumental in helping you make an informed decision as to whether you should purchase the home. 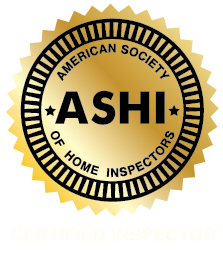 You should choose a licensed home inspector that possesses the knowledge and experience that are needed to provide you with a professional and comprehensive inspection report. RCI Services has been providing Nashville and surrounding areas with property inspections since 1997. Ray Baird, the owner and operator of RCI Services, has completed more than 6,500 inspections, ranging from new and historic homes to commercial properties. RCI Services strives to deliver excellent customer satisfaction and superior home inspection services. Residential inspections go above and beyond the role of the appraiser. An appraiser’s focus is on the market value of a property, whereas RCI Services looks for problems that affect the safety, durability, and comfort of your property. An appraisal protects your lender; an inspection protects you. Ray Baird has three decades of experience in residential and commercial construction and two decades of experience as a home inspector. Ray has extensive hands-on experience in the building industry and he understands how a home functions. He wants the home inspection to empower you to make an informed decision concerning your investment. The home inspection report is the end product of the inspection. Our digital home inspection report provides the written information to support your decision. The report is powered by inspection software from HomeGauge and features the innovative Create Request List™ (CRL™ ). 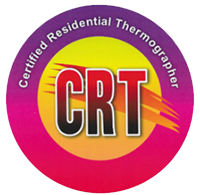 The CRL™ is a useful tool that benefits realtors, sellers, and homebuyers alike. It enables you to create an interactive list of repairs from the inspection report and attach it to the repair addendum. The CRL™ serves to streamline the real estate transaction by allowing all parties to monitor and prioritize repairs. before the sale closes. Whether you’re a realtor or a homebuyer in the Nashville area, call to schedule your inspection. Call us at 615-371-5888 or send us an email today!